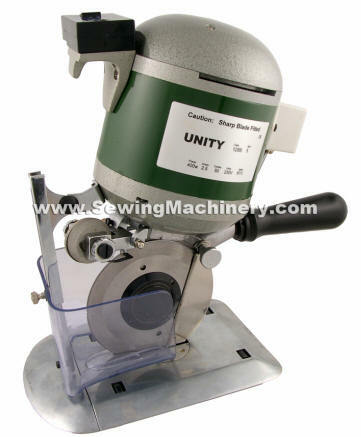 The Unity 128B 5" portable heavy duty round knife cloth cutting machine has been manufactured for industrial professional use, but still remains lighter and easy to use because of its die cast housing which reduces overall weight. 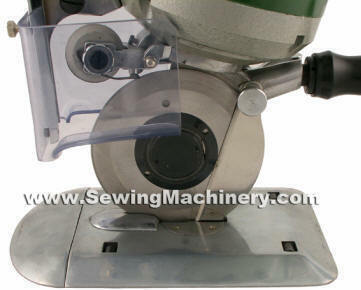 The 5 inch round blade together with a narrow cutting standard, powerful 400W industrial motor and roller mounted base plate: makes this Unity machine suitable for many different sections of the clothing & textile industry. Users include manufacturers of cloth, clothing, carpets, netting and many other types of materials. Cutting of: wool, cotton, knitwear, felt, tarpaulin, Synthetic fabrics, carpets etc., plus many other materials.